Other than my constant pursuit of new projects I am not certain which brain child exactly sparked this one. Going back as far as I can, I think it started with the Buck Spitfire. That knife kind of ended my hunt for the right knife. Suddenly, even though I wanted more knives, I was no longer interested in any of them in existence - unless there is one out there I am missing. What I think the Spitfire satisfies for me is my natural impulse to modify things, or really, personalize them. 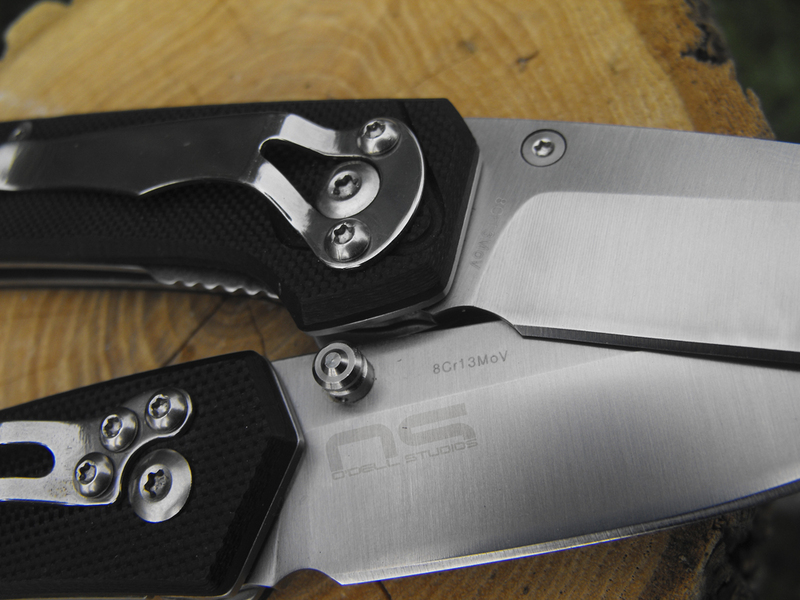 But with that impulse being so natural, why hadn't I considered modifying my knives? Well for one thing I hadn't purchased a single knife with truly removable scales other than the RAT 1 and I like it just the way it is. Then I got the Spitfire and I feel it's pretty unique. It's got personality. So halfheartedly I browsed the various forums, youtube and knife stores looking for something to satisfy the knife wants. Nothing. I found a few, maybe one or two that caused me to point at my screen and announce that they were pretty good looking knives, but they were fleeting moments. 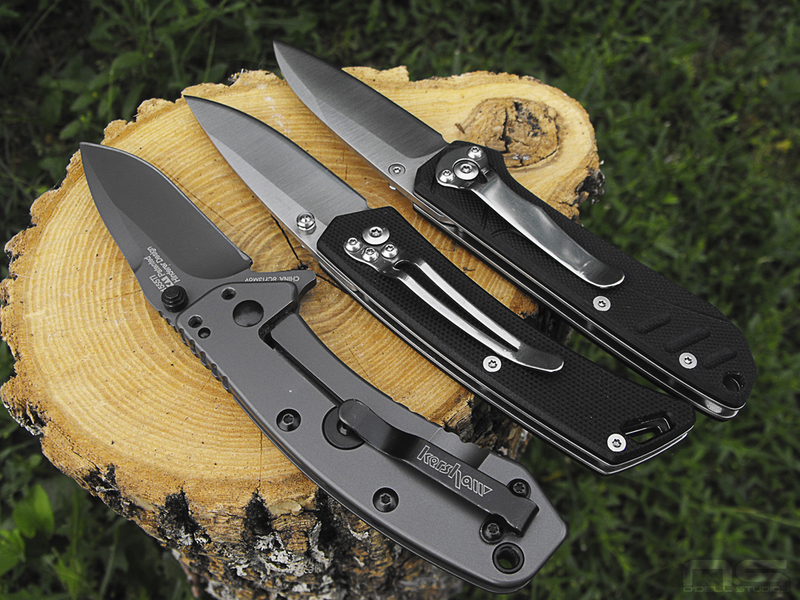 Now, in my knife searches I have on occasion stopped to read about cheap knives from brands like Sanrenmu and Enlan - essentially Chinese companies fully ripping American knife designs. I was like meh. But lots of people were saying they are fully worth the $10.00 spent and not bad knives at all. Still, meh. I just kept skipping over them. I'd hit ebay and look at them, then go looking for something else. Being blatant rip offs, how could they be any different from anything else? Black handles, natural steel everything else. The occasional black blade or aluminum handle. Whoopty do. I'm not saying there aren't genius designs still undiscovered out there, but knives are all starting to look alike. I have also found that I have virtually no use for a large knife like the Ontario RAT 1 in every day scenarios. It's just too big and has become my weekend/hunting/hiking knife. So by cutting out the larger folders, my options are even more restricted. I'd exhausted all resources. I went home and complained about there being no interesting knives out there and that my relatively brief knife obsession was about to come to a close. Then something happened. I accidentally discovered on youtube, people making their own Micarta. Then five minutes later I discovered that it is totally brain dead easy. Then five minutes after that the light bulb started to flicker to life in my dusty brain holder. I started to speed search the mighty Google and found tricks for acid washing and stone washing. Other finishes are more complex but I had at my disposal a couple blade finish options and infinite handle options. Then memories of those cheap Chinese knives got tossed into the mix and custom knife salsa was made. It's the same thing that happens to me over and over. The thing I want doesn't exist, therefore I must make it myself. I quickly searched for the others like myself who had already dreamed this up. The only problem was, I didn't find many. I know you are out there but you seem to be few and far between. Hopefully you find this post and a new trend is officially kicked into gear. Part of the issue is the search terms. 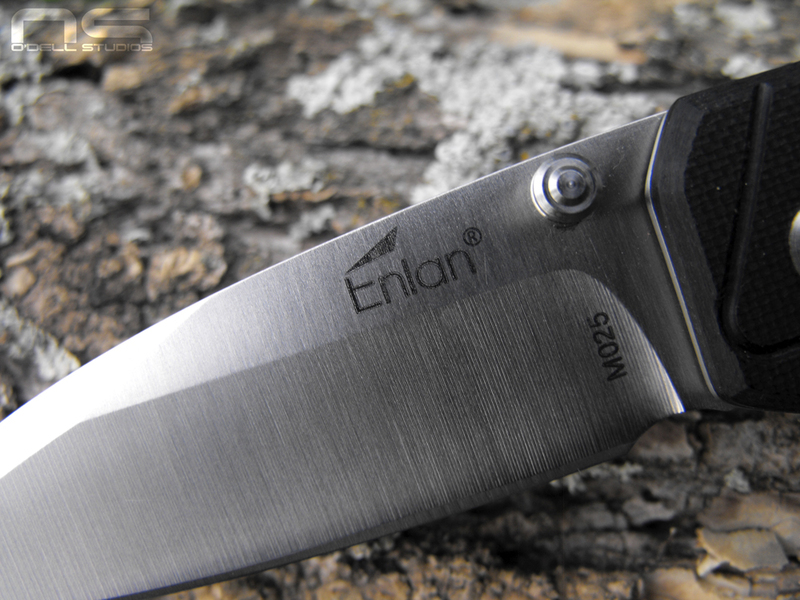 I used several; customized cheap knives, Sanrenmu modifications, Enlan modifications, enhancing cheap knives, etc. It's actually a difficult search so chances are I missed a community where this is happening beyond a youtube video here, blog post there, or occasional forum thread. So, this post officially begins my Enlan cheap Chinese knife project. 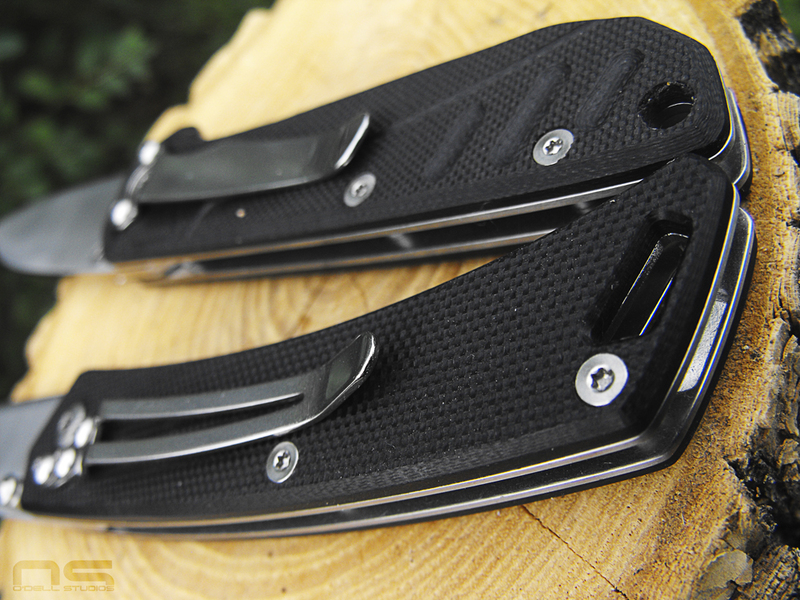 I went and took a closer look at these bad boys and a huge chunk of them are simple liner locks with liners on both sides and Micarta or G10 or whatever scales. A bunch of them are held completely together with Torx screws, including the pivot AND thumb stud. I can completely disassemble them and touch every part. I also tend to lean toward more "gentlemanly" knives. 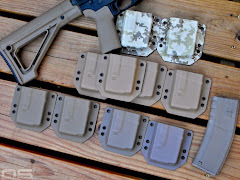 Cleaner, more classic designs over the very popular tactical assortment and between the Enlan brand and the Sanrenmu brand, I'm pretty well covered with at least 5 different designs that interest me. 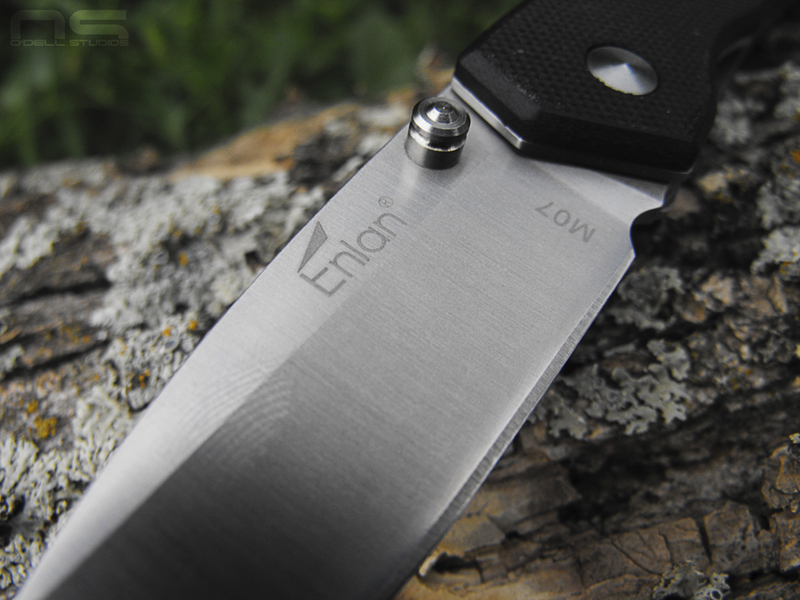 Finally, the Enlans at least are made with 8CR13MOV steel just like my Chinese Cryo or Ripple. These are admittedly nicer knives overall but the steel is perfectly acceptable in my eyes and I quickly placed my order. Nine days later I opened my package from Hong Kong and found two surprisingly nice knives. 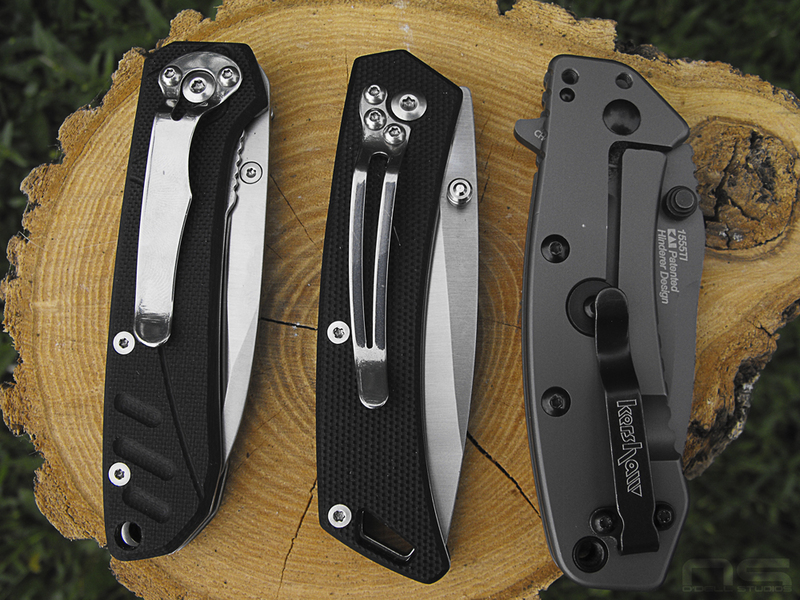 The Kershaw Cryo is pretty small and even though these Enlan knives are about the same length, they are a little more compact in all dimensions. Like the Cryo, they are a bit heavy for their size, but nothing that bothers me. They call the scales G10 and it's neatly cut with a useful texture. You can see they are remarkably cleanly made. The blade grind is pretty even and centered and all the surfaces have blemish-free finishes. 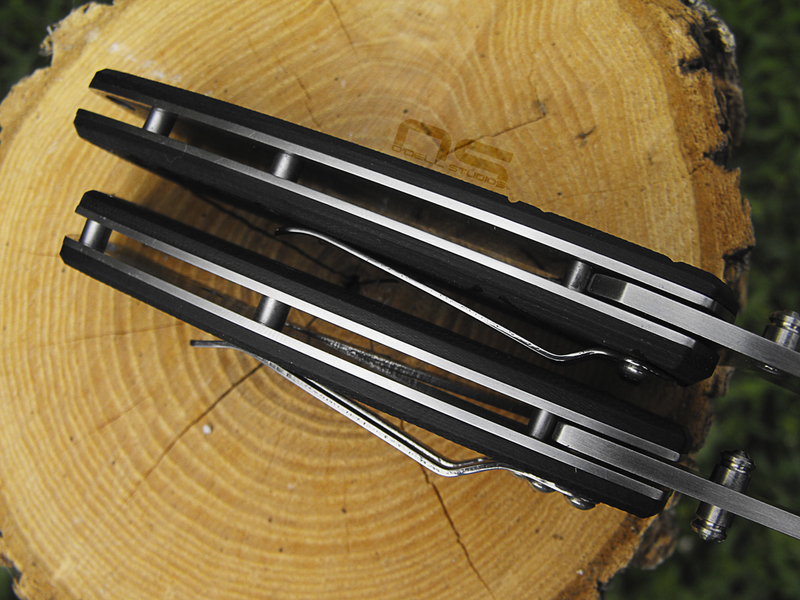 The thumb stud is good looking and functional. The M07 has a hollow grind going on. 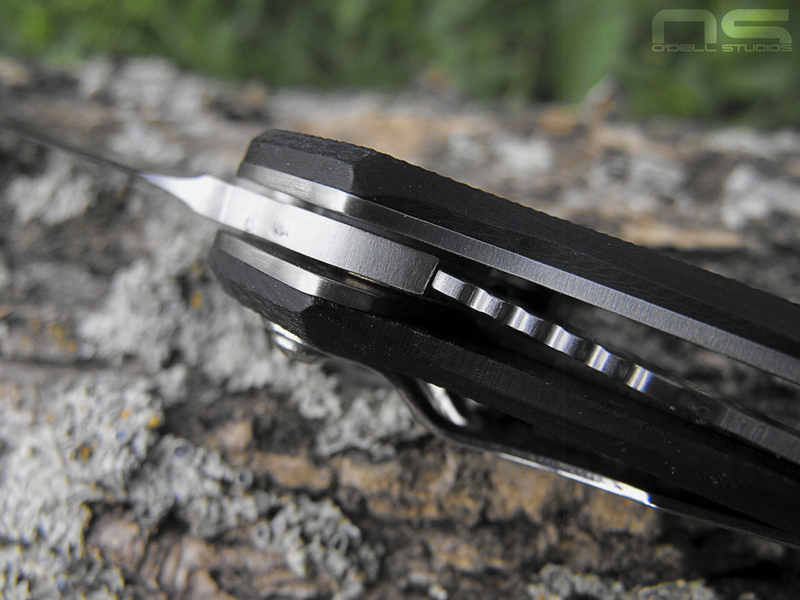 The M07 had pretty dang good blade centering - nothing I can't live with. The blade itself was close to sharp and opened smoothly. The detent isn't crisp but works and I wonder if the ball isn't just dirty. Lock-up on the M07 is good. There is no blade play at all. There are a few faint tool marks present here that I think I can polish out without effecting lock-up. These little knives are surprisingly well finished. This pocket clip is ... ugly. I am trying to think of ways to improve it but there is zero extra material. One of my biggest concerns when ordering these was how rough the fasteners were going to be. I'd had a Gerber where half the screws were over torqued or beaten during careless assembly and each point of the Torx star was marred. These are all in pretty good shape. 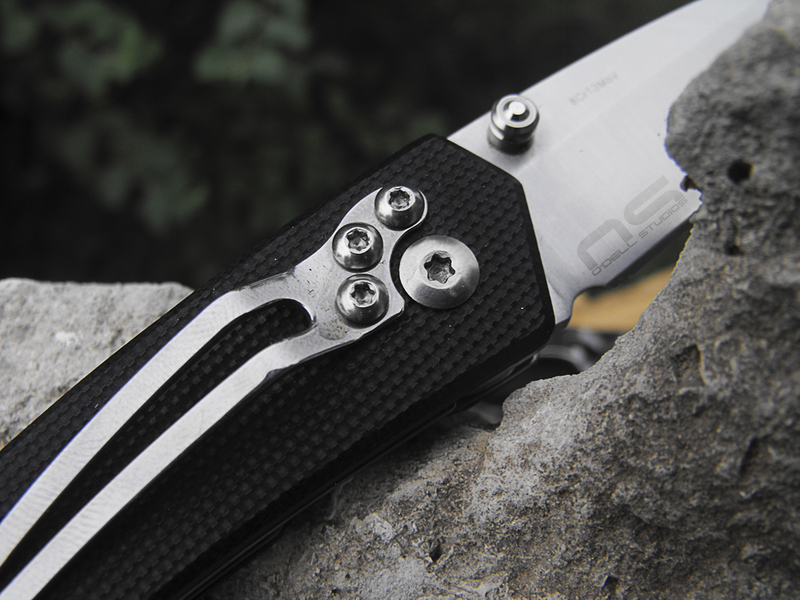 Nothing like beat up fasteners to make a knife look like crap. The grind marks are no where near this apparent in real life. 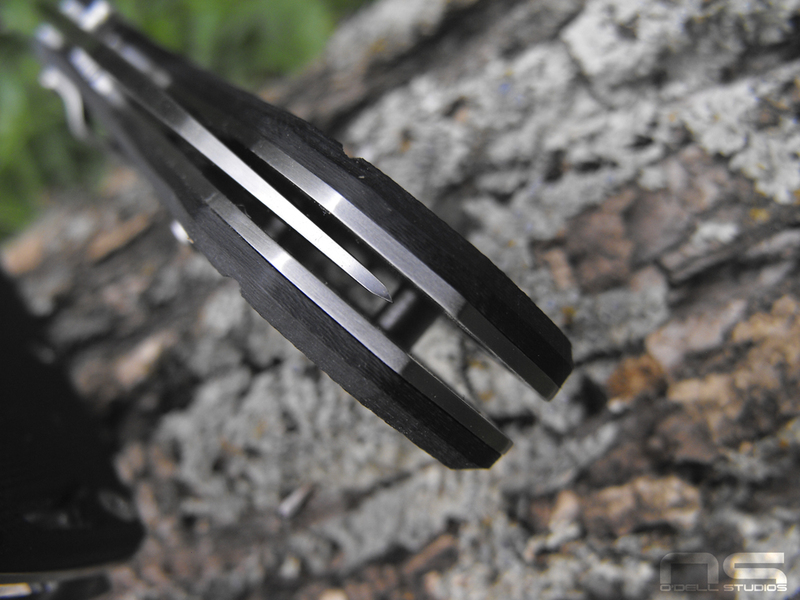 The blades have a nice even satin finish. Also, the markings are etched into the steel, not printed on and when you look at the knife they don't appear this dark. Just a weird picture I guess. What can I say, I'm no photography ninja. 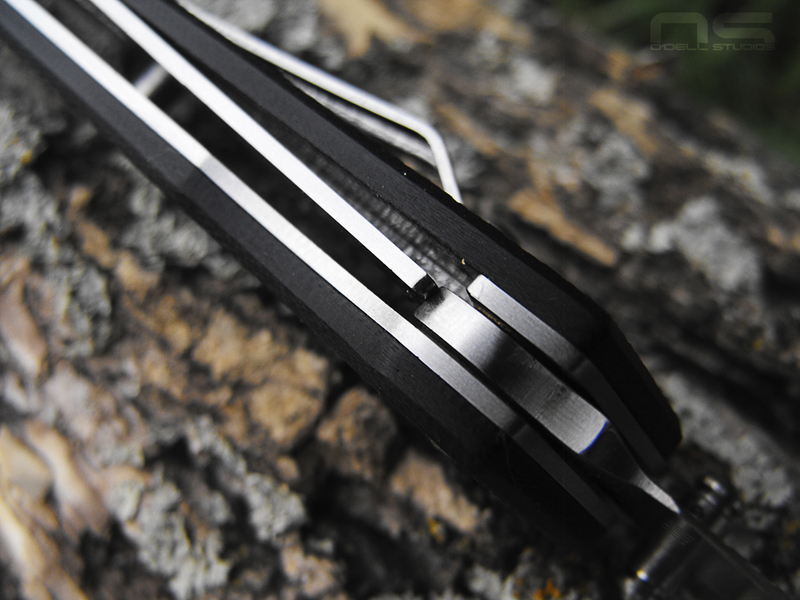 The M025 has a flat grind and a cool blade shape if I do say so myself. Again, good blade centering on the M025. Not perfect, don't care. 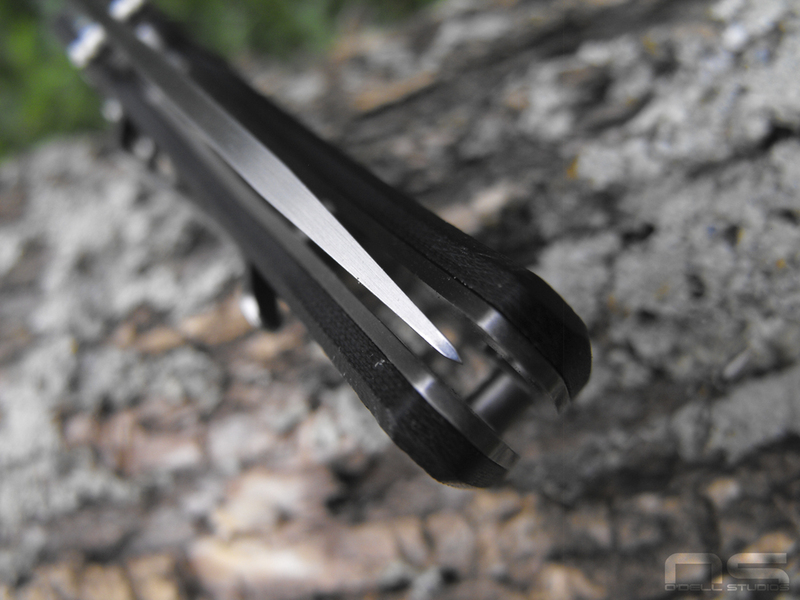 This one has a nice crisp detent but the blade was pretty stiff opening. I turned the pivot screw back a turn and it works nicely. Lock-up is again good with very slight side-to-side play. The lock gets half way across the blade if maybe even a little further but only time will tell if this is going to be an issue. 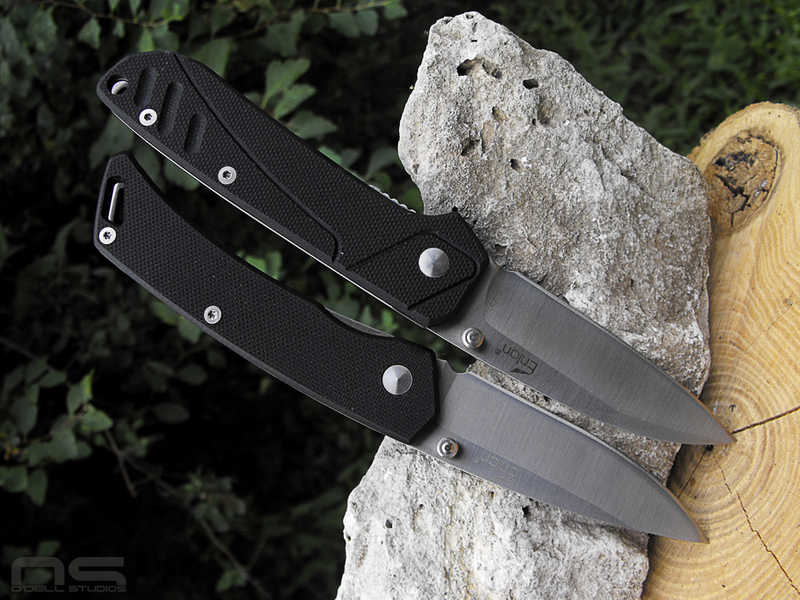 Jimping on the liner lock is the only jimping to be found on either knife but I think both have a clean style and are small-ish utility blades that don't require volumes of traction. I can do my own jimping if I get to feeling that brave - not likely. Nice fit and finish on these things. 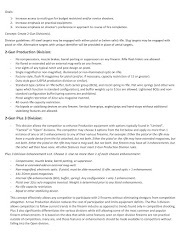 Rather than attempting complex features requiring skilled hands that would end up half-assed, they are left clean and simple thereby avoiding risk of scars. That works for me. 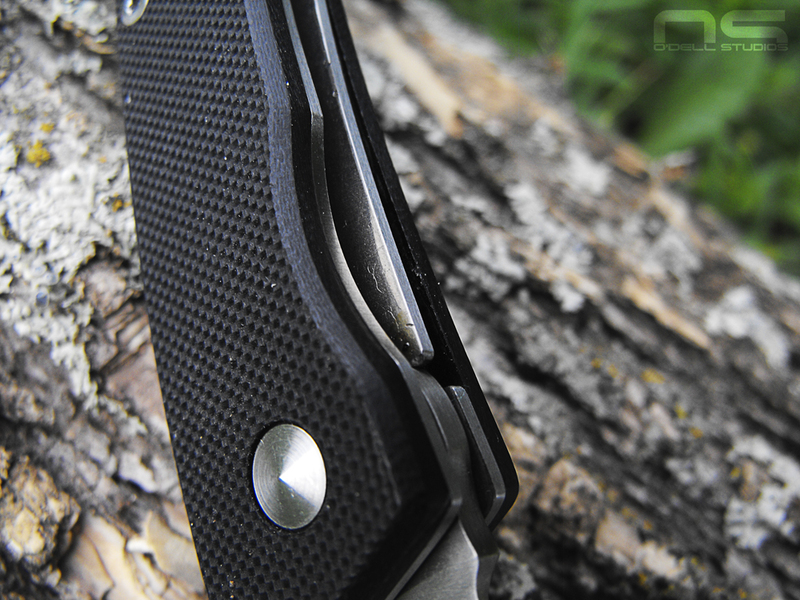 The pocket clips are functional if not so attractive on the M07. They only offer tip down right side carry, but I probably won't change them. Again, if I am feeling lucky I might tap my own threads for tip up, but probably not on this first go-round. I do intend to put a back spacer on at least one of them since the pillars are round. It isn't very obvious but you can see a little rust discoloration right at the end of the lock. The M07 had a couple rust spots. Nothing I can't fix but it was there. So the plan is pretty simple. Clean up anything that isn't already perfect - a couple tool marks here and there - and make my own scales for them. I will slightly modify the pocket clip on the M025 because there is material to work with and it doesn't perfectly fit the overall design. I am also going to round the spine and do a full stone wash on everything steel. I am going to cover the lanyard holes because I have no use for them and see if I can't smooth out the deployment. The first step to accomplish that is probably to improve access to the thumb studs. For the M07 I am thinking of doing an acid wash. One is going to get a a little more personality with orange in it somewhere and the other more subdued with some kind of drab scale color. Stay tuned.